by Governor Jim Doyle, 2005. Unadorned and lusterless. These are typically not adjectives used to market festive holiday decorations. 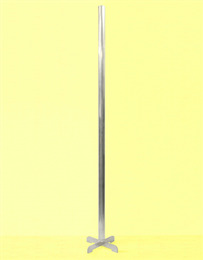 However, this 6-foot aluminum Festivus pole is not your everyday holiday decoration. 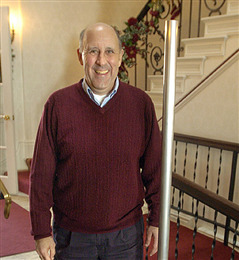 The Wagner Companies of Milwaukee produced this pole and gave it to Wisconsin Governor Jim Doyle in 2005. The governor displayed it in the family room of the Executive Residence in Madison, Wisconsin during that holiday season. "Festivus" is a holiday popularized by the television show "Seinfeld", with the pole, which must be unadorned and lusterless, being the primary decoration associated with the event. 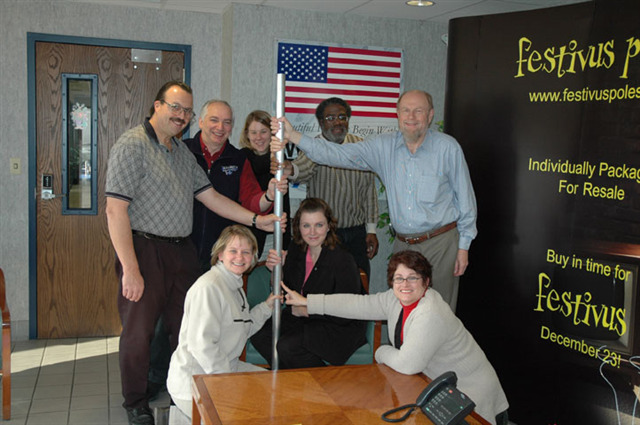 The Wagner Companies, a supplier of architectural metal components for railings and industrial fabrication, introduced its Festivus pole in 2005. The company's vice president of sales and marketing, Tony Leto, once participated in a drama class with Jerry Seinfeld at Queens College in New York and brought the idea of producing the poles to Wagner. After the company decided to market Festivus poles, Robert Wagner, the company's president, decided to give one to Governor Doyle. Wagner knew Doyle was a fan of "Seinfeld" and presented the pole to fellow Wisconsin Arts Board member Lt. Gov. Barbara Lawton, who in turn gave it to Doyle. Leto conceived of the idea as a bit of a lark, but successfully convinced Wagner to take a chance. The company used existing stock materials and fabrication processes to create a product that was conveniently packaged and easily assembled. 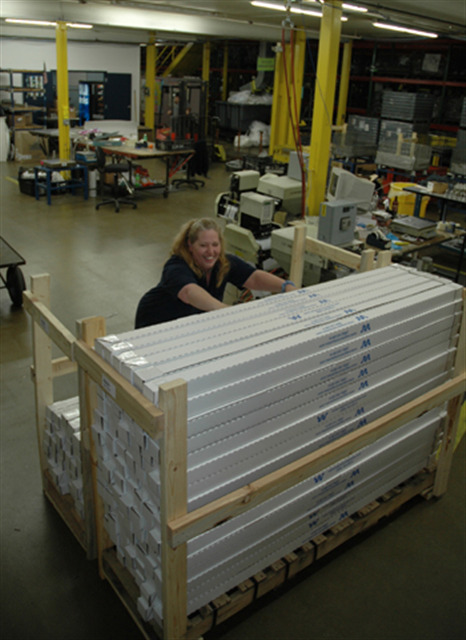 Wagner sold about 200 poles during the 2005 holiday season and nearly 1,600 the following year. They expect pole sales, driven by internet 'word-of-keyboard,' to rise even higher in the future. The story of the Wagner Festivus pole is quite similar to another Wisconsin firm, the Aluminum Specialty Company, which took a chance on a holiday decoration and became the world's largest producer of aluminum Christmas trees in the 1960s. The concept of the Festivus holiday was first introduced into the American consciousness on the "Seinfeld" episode titled "The Strike," which originally aired on December 18, 1997. During the show, it is revealed that the holiday was created by Frank Costanza, a character played by comedian Jerry Stiller. According to Costanza, Festivus is celebrated each December 23 in opposition to the materialism and greed associated with the holiday season. Instead of a Christmas tree, celebrators of Festivus gather around a metal pole, unadorned except for non-threatening plain decorations. The holiday is also characterized by two important events - the airing of grievances and feats of strength. During the airing of grievances, each participant tells the others the ways in which he or she has disappointed them during the preceding year. Feats of strength involve the head of the family testing his or her strength against one participant of his or her choosing. This does not end until the head of the family is pinned to the ground. Surprisingly, the basis for this holiday is not fictional. Dan O'Keefe, whose son Daniel was a writer for "Seinfeld", invented the holiday in 1966. According to the younger O'Keefe, Festivus began as a celebration of his parents' first date, but evolved into something more peculiar over the years. Festivus traditions in their family included the airings of grievances into a tape recorder, wrestling matches between Daniel and his two brothers, strange music, as well as the recitation of odd poetry by their father. In a December 19, 2004 New York Times article, O'Keefe says, "There was a clock in a bag," adding that he does not know what it symbolized. "Most of the Festivi had a theme," he noted. These included, 'Is there a light at the end of the tunnel?' and 'Too easily made glad?' 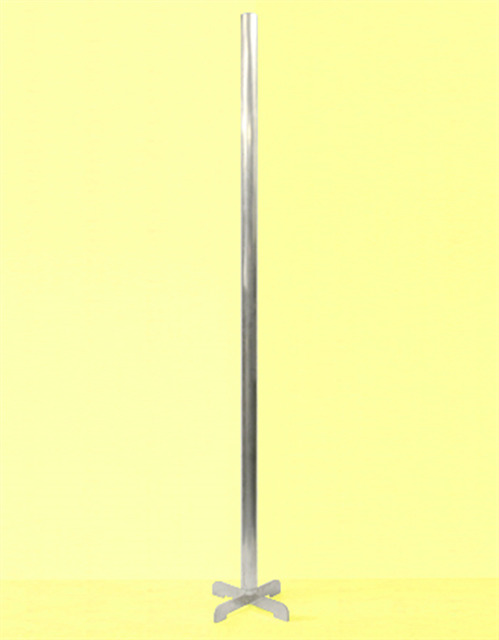 The concept of the Festivus pole, however, was created exclusively for the television show. Since 2006 Wisconsin resident Mark Metcalf, the actor who played "The Maestro" character on two Seinfeld episodes, displays his own Wagner-made Festivus pole in his Mequon restaurant during the holiday season. The pole graces the restaurant's bar and is available for nightly airing of grievances. According to Metcalf, patrons are more than happy to stand around the pole and oblige the Festivus tradition. The year after Gov. 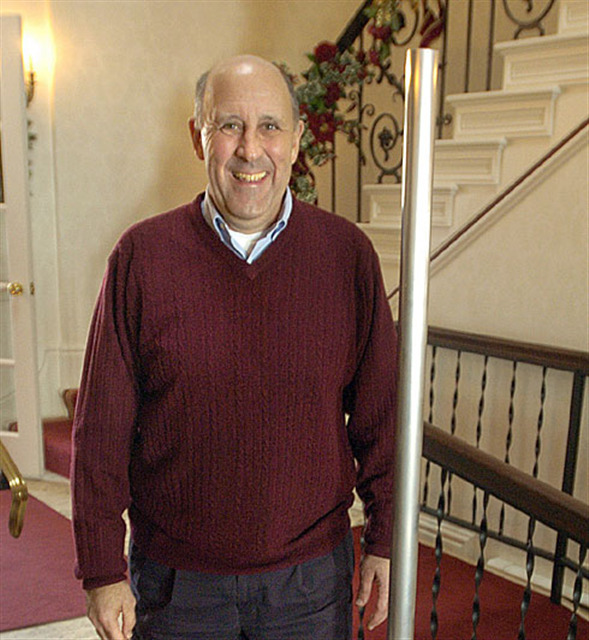 Doyle displayed his Festivus pole at the Executive Residence, he donated it to the Wisconsin Historical Society. In November of 2006, comedian Michael Richards ("Seinfeld"'s Kramer character) used racial slurs during a stand-up comedy performance prompting nationwide outrage. The Milwaukee Journal-Sentinel reported on November 30, 2006 that Doyle would not celebrate Festivus that year due to his disappointment with Richards. According a December 25, 2006 Washington Post article, Doyle said he would donate the pole following the incident. 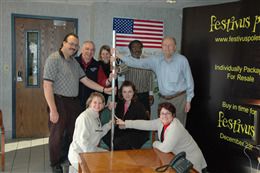 Despite the controversy, Wagner Companies continued to produce their Festivus poles, and many Wisconsinites continued to celebrate the holiday. Wagner's Tony Leto explained, "Fans know it was a Costanza holiday, not a Kramer holiday…."